Diwali widely known as the festival of lights is the biggest festival in India & the puja of Goddess Lakshmi (Goddess of wealth, good fortune & prosperity) with God Ganesh is associated with Diwali or Deepavali festival celebrations. 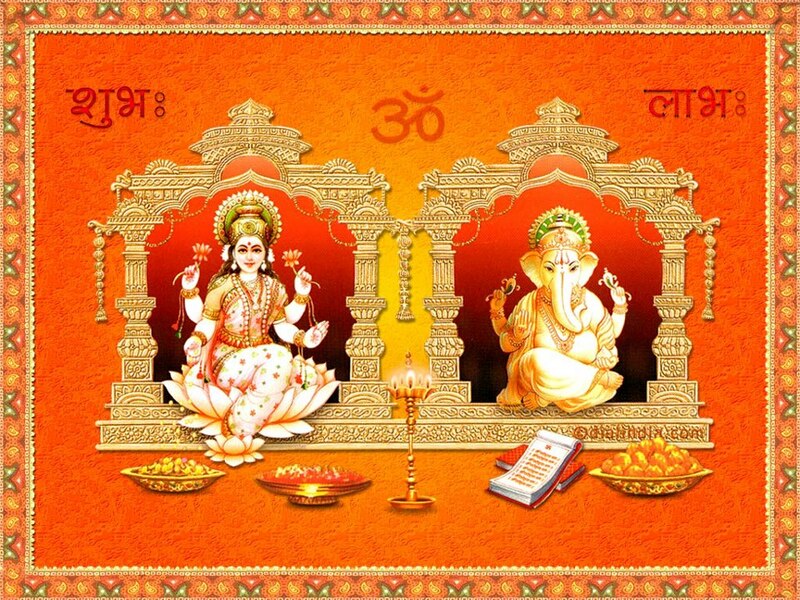 Therefore, Diwali festival is synonymous with cleanliness as Goddess Lakshmi likes cleanliness & decorating the home with beautiful diyas, candles & colorful rangoli to welcome Goddess Lakshmi in home. 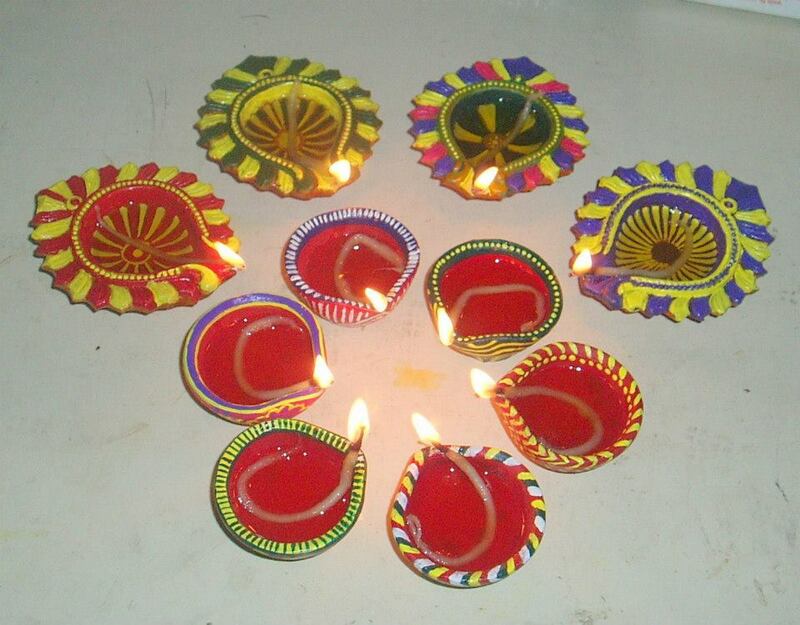 Diyas are an integral part of Diwali decorations. During Diwali festival season, one can find different types & designs of Diwali diyas and candles in the markets. Deepavali diyas are basically earthen lamps made of clay. 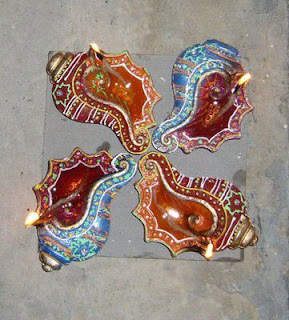 Set of four shankh shaped exquisite diyas can definitely give an elegant look to your home and office. 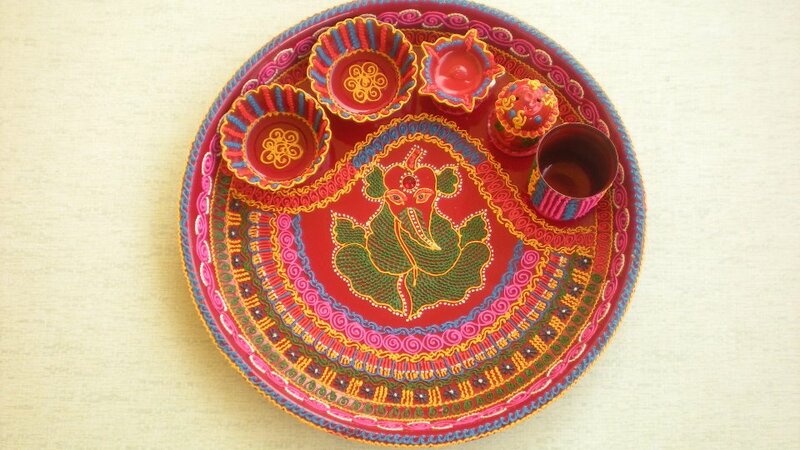 Or you can use colorful flower shaped diyas. 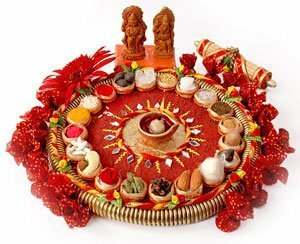 On the auspicious occasion of Deepavali festival people perform Lakshmi-Ganesh pooja & a decorated pooja thali is an integral part of it. Diwali puja thali generally includes diyas, sweets, dry fruits, roli, chawal, flowers, etc. 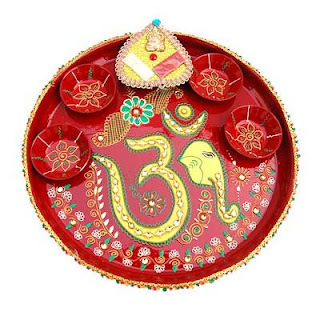 Traditional red color 'OM' puja thali with small bowl for haldi, kumkum, roli, rice & another Diwali puja items. 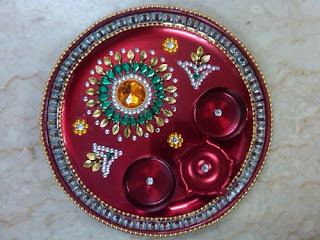 A beautiful puja thali decorated with kundan beads which can additionally make an ideal Diwali gift too. 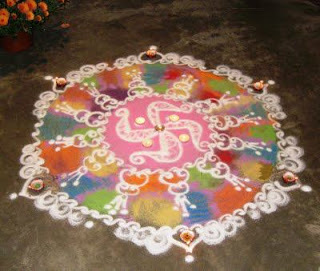 Diwali rangoli is an intrinsic part of decoration of Diwali festival. 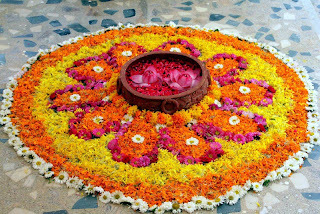 On Deepavali people like to decorate the floors of their living room, puja room or entrance with beautiful rangoli by using colored powders, colorful flower petals & diyas in different designs, shapes & patterns to welcome Goddess Lakshmi & guests. 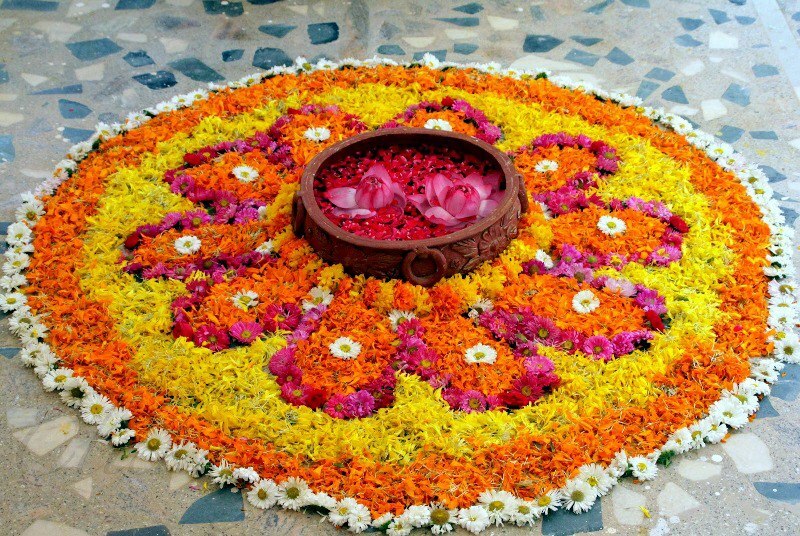 Strings of jasmine, rose petals and marigolds can also be used to make beautiful rangoli. 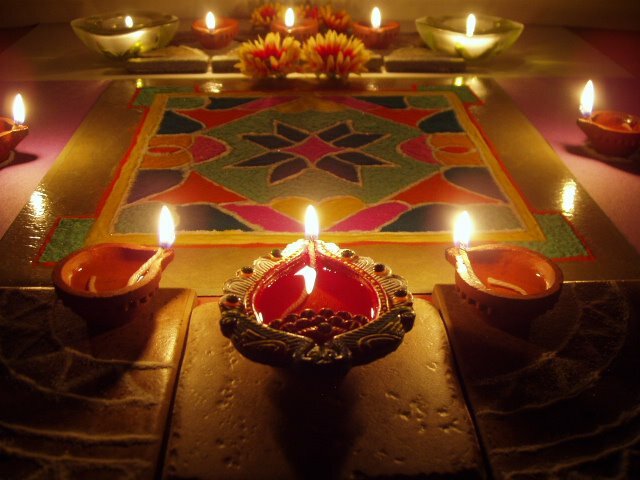 On Diwali, rangoli designs are made with some spaces specifically to place diyas over them. 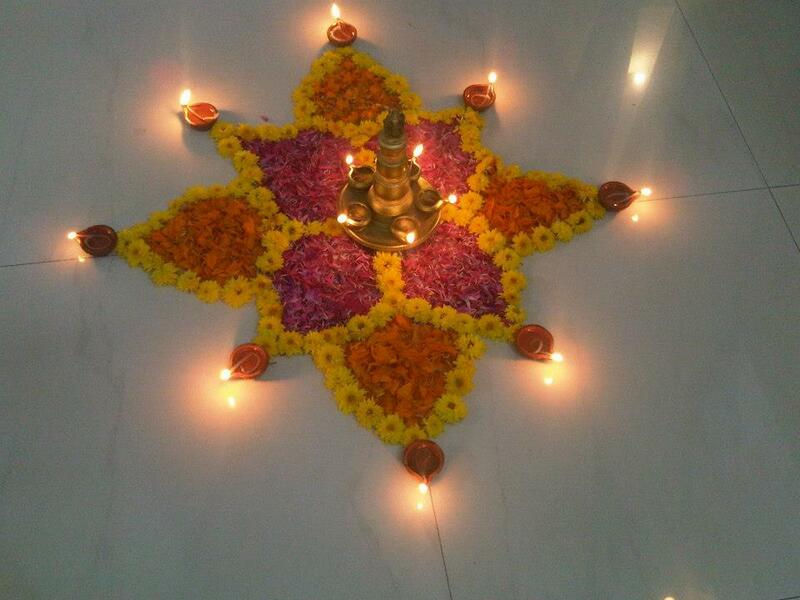 Such rangoli decorations with diyas are an eye candy! Diwali 2012 Date: Diwali festival is on Tuesday 13th November, 2012. If you find this post informative, please do share it with your Facebook & Twitter friends. 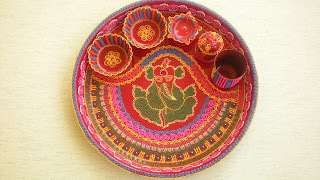 Visit here to know more about Diwali home decoration ideas & Diwali gifting ideas. Buzzintown Wishes you a Happy & Prosperous Diwali 2012! 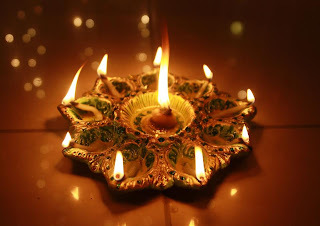 Very good and detailed information on Diwali festival. 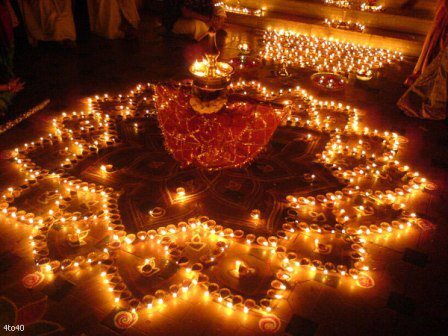 Thanks for sharing very valuable information on Diwali festival. Sir please see my Lamps of India message relating to Diwali festival which i shared in my Heritage of India blog. 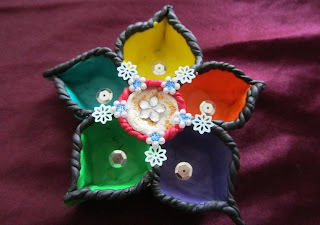 Sir alongwith sharing my collections relating to Indian Heritage and Culture in my blog i am also giving seminars to school and college children and so far i gave 2 seminars on Indian Heritage and Culture. Sir these are my 2 seminars links. Sir please look into my Heritage of India blog and share your comments.